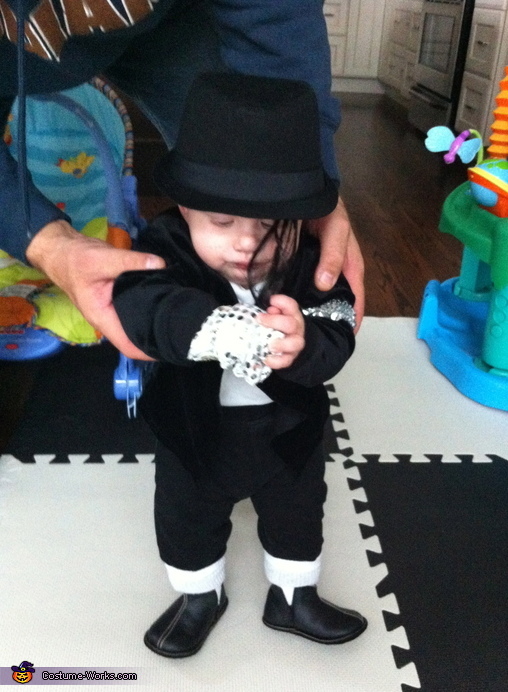 My Son Julian is 6 months old and Loves MJ !!!! I made this costume myself. I even cut my hair and attached it to his fadora!! I also dressed him as a Ninja Turlte - Being an 80's baby myself!